I’m re-posting items originally written for peterme.com. This is from January 11, 2016. I’ve written a bunch about this in the book I’m writing. Here is what I wrote about the “team lead”, the person responsible for a 3-7 person design team tackling a problem. Regardless of size, each design team benefits from a single point of authority and leadership, an individual with vision and high standards who can get the most out of their team. This is the most important role on the team, and the hardest job to do well. Manage down. Leads are responsible for overall team performance. They need to create a space (whether physical or conceptual) where great design work can happen. They must coach, guide, mentor, and prod. They address collaboration challenges, personality conflicts, unclear mandates, and people’s emotions. Manage across. 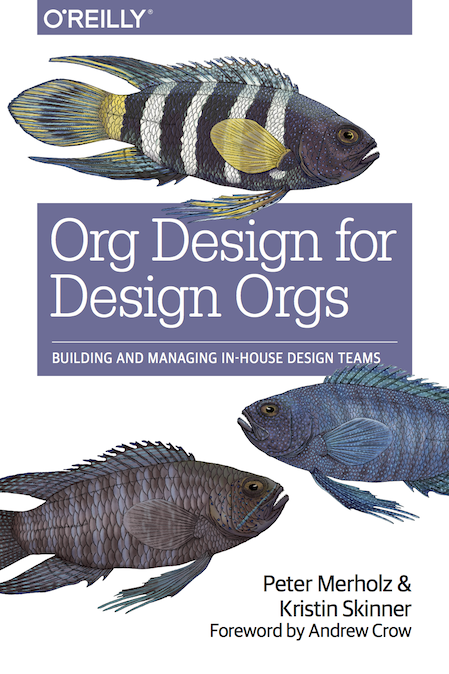 Design leads coordinate with product leads, business leads, technology leads, and people in other functions in order to make sure their teams’ work is appropriately integrated with the larger whole. They must also be able to credibly push back on unreasonable requirements, and goad when others claim that the design team’s work is too difficult to be delivered. Manage up. It’s crucial that these leads are comfortable talking to executives, whether it’s to explain the rationale behind design decisions or to make the case for spending money, whether on people or facilities. Design leads must present clear arguments, delivered without anger or frustration, that demonstrate how their work ties into the larger goals and objectives of the business. In short, the best team leads are a combination of coach, diplomat, and salesman. And they are folks who, through, experience, find they can span the conceptual scale from 1,000 feet all the way down to 1 foot. They oversee the end-to-end experience, ensuring that user needs are understood, business objectives are clear, design solutions are appropriate, and the final quality is high. To achieve coherence, they must integrate efforts across product design, communication design, user experience research, and content strategy. They are responsible for articulating a design vision shared not just by their immediate team, but their cross-functional partners as well. No wonder it’s so hard to find such people! Previous Previous post: Are your team members respected as individuals? Org Design for Design Orgs Blog at WordPress.com.